Humanistic Robotics, Inc., (HRI) a robotics and technology innovator dedicated to making the world safer with technology, has partnered with Critical Solutions International (CSI) to package HRI’s landmine and IED rollers with CSI’s life-saving Husky vehicle, thus increasing the capabilities of CSI’s offerings. Known for its innovative, user-centered approach, HRI developed its mine rollers with funding from the U.S. Army and has now deployed them in multiple operations across Africa and the Middle East. From commercial oil and gas development, to peacekeeping missions and army engineering missions worldwide, route clearance is on the rise. Moreover, as new conflicts involving asymmetric warfare grow across the globe, landmine/IED protection strategy becomes increasingly important. 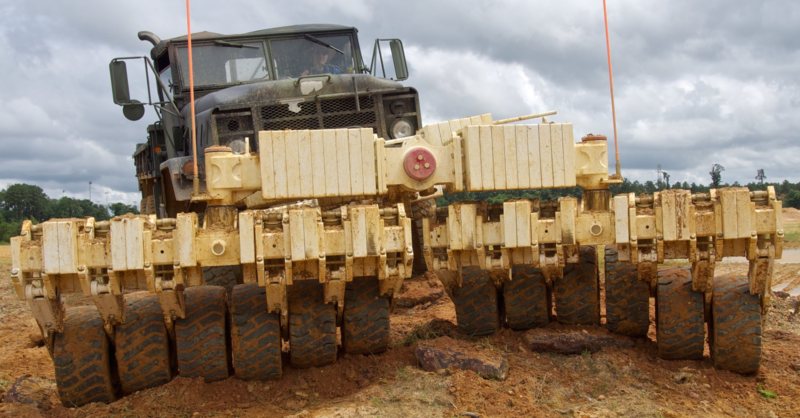 Rollers are used to combat landmines and IEDs, with an ultimate goal of protecting the personnel traveling in a convoy where ease of use and maintenance are critical. HRI’s rollers lead in accuracy, effectiveness and safety, and offer a radical simplicity that enables users to replace most parts in minutes without the need for a maintenance depot. HRI delivers great results because the roller is calibrated to always exert the threshold ground force requirement even on very difficult, uneven roads.